That's right, 33 days! 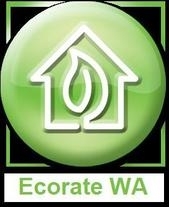 At Ecorate WA, we've supplied ratings for all sorts of building types for architects, commercial builders, owner builders, anyone with a building plan. Even if it's for just one room, or if you're thinking of building something out of the ordinary, we're more than happy to help with your building energy efficiency. Do you have an energy efficiency assessor that is as fast, low cost & no fuss? Contact us for a free quote.